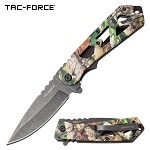 Spring camo color cool pocket knife by Tac Force Knives. 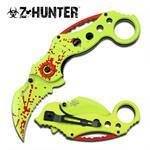 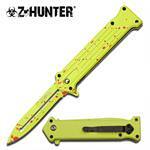 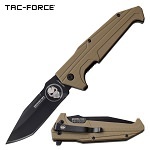 The spring loaded knife is 8.5 inches long open length. 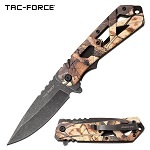 Fall camo color cool pocket knife by Tac Force Knives. The spring loaded knife is 8.5 inches long open length. 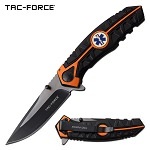 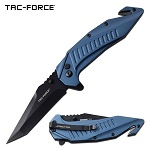 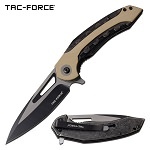 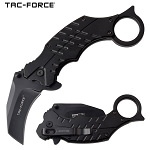 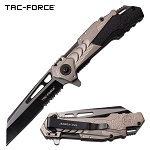 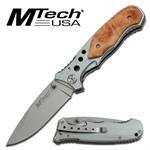 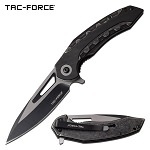 Tac Force pocket knife with tanto blade. 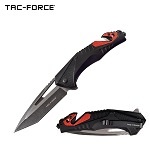 The open length of the knife is 8.25 inches long with blade length of 3.5 inches long. 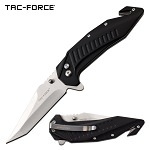 Tac Force cool pocket knife for sale. 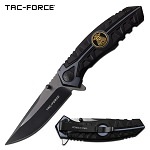 The spring loaded knife is 8 inches long with Police Department logo on handle.